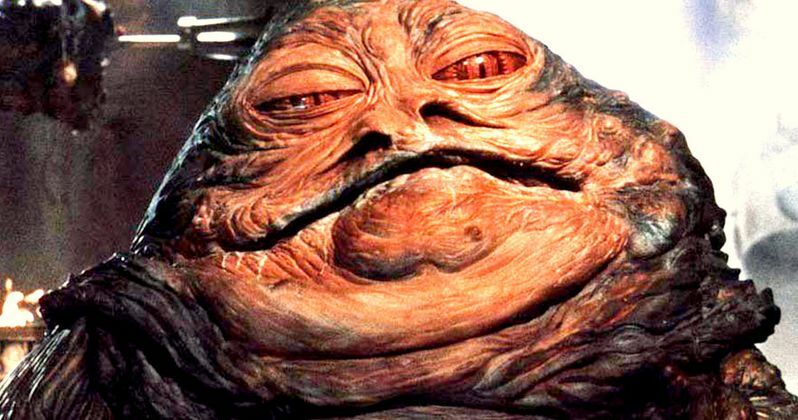 Do you want to see Jabba the Hutt in a Godfather-inspired Star Wars Anthology spinoff? That's exactly what acclaimed director Guillermo del Toro would do if he were handed the keys to this galaxy far, far away. Disney and Lucasfilm are currently in production on three standalone adventures set in the Star Wars universe. And at this time, there are no plans to bring Jabba the Hutt back to the big screen. But the Crimson Peak director tells Yahoo! Movies that's the one he'd make if he had a choice. "This is not real, this is me as a fat geek just geeking out and talking about it. I would do the sort of Godfather saga that Jabba the Hutt had to go through to gain control. One, because it's the character that looks the most like me, and I like him. I love the idea of a Hutt type of mafia, a very complex coup. I just love the character." The first spinoff, Star Wars Anthology: Rogue One, takes place right be Star Wars: Episode IV - A New Hope, and follows a rogue squadron of Rebel fighters trying to steal plans to the Death Star. Recent rumors claim that Darth Vader will be the secondary villain in the movie, and that Boba Fett and other bounty hunters will also be along for the ride. If this is true, Jabba the Hutt could make a cameo here. It's also possible that Jabba will have a key role in the second spinoff, Star Wars Anthology: Han Solo Movie, which hits screens in 2018. Coming from the directors of The Lego Movie, it will track Han Solo and Chewbacca's origins leading up to their fateful meeting with Luke Skywalker and Ben Obi-Wan Kenobi. It isn't yet known what the third spinoff will be about, but many expect Ewan McGregor will make his return as Jedi Master Obi-Wan, revealing what happened to him after he defeated Anakin Skywalker.